ATLANTA — Mayor Keisha Lance Bottoms has announced her appointments to the city’s new Task Force for the Promotion of Public Trust. The Task Force is will evaluate the city’s legislative and administrative policies and procedures to ensure ethics, transparency and compliance. Below are the names and brief bios of Bottoms’ appointees to the task force. Retired Justice Leah Ward Sears – Chair – Former Justice: Retired Justice Leah Ward Sears has been named as the chair of the Task Force. Twice on the President’s shortlist for appointment to the United States Supreme Court, Sears was elected to the Superior Court of Fulton County, Georgia, the first woman to serve on that court. Four years later she was appointed, and later elected, to serve as a Justice on the Supreme Court of Georgia, the first woman and youngest jurist ever to hold that position. From 2001 to 2005, Sears was the Presiding Justice of the Georgia Supreme Court, and in 2005 she was elevated by her colleagues to Chief Justice, where she served until she retired from the court in 2009. As Chief Justice, Sears was instrumental in helping to establish the Georgia Office of Dispute Resolution of the Administrative Office of the Courts. She also chaired the Judicial Council of Georgia and was a member of the Board of Directors of the National Conference of Chief Justices. Joe D. Whitley – Former Prosecutor: Joe Whitley has had a wide-ranging career in the Department of Justice. During the Ronald Reagan and George H.W. Bush administrations, he served as Acting Associate Attorney General, the third-ranking position at Main Justice. He was appointed by Presidents Reagan and Bush, respectively, to serve as the U.S. Attorney in the Middle and Northern Federal Districts of Georgia. Throughout his career, Whitley served under five U.S. Attorneys General and four Presidents in a number of key operational and policy positions. Earlier in his career, Whitley served as an Assistant District Attorney in the Chattahoochee Judicial Circuit in Columbus. Whitley maintains strong professional relationships with the state and federal law enforcement community. In 2003, Whitley was appointed by President George W. Bush as the first General Counsel of the U.S. Department of Homeland Security, the highest ranking legal official at DHS. He held that position for two years working for DHS Secretaries Tom Ridge and Michael Chertoff, before returning to private practice. O.V. Brantley – Former local governmental attorney: O.V. Brantley is a former DeKalb County Attorney and former Fulton County Attorney, bringing experience in every aspect of governmental law including litigation, legislation, transactions and management of a law office. Brantley is also a former Deputy City Attorney for the City of Atlanta with an emphasis on civil rights litigation in federal court and is a certified mediator with an emphasis on resolving disputes arising in a governmental setting. Brantley also served as Interim City Attorney for East Point, and Interim County Attorney for Hall County. Dr. Robert M. Franklin, Jr. – Recognized member of academia: Dr. Robert Michael Franklin, Jr. is the James T. and Berta R. Laney Professor of Moral Leadership at Emory University and Director of the Religion Department of the Chautauqua Institution. He is President Emeritus of Morehouse College where he served as the tenth president of the nation’s largest private, four-year liberal arts college for men from 2007 through 2012. An insightful educator, Franklin has served on the faculties of the University of Chicago, Harvard Divinity School, Colgate-Rochester Divinity School and at Emory University’s Candler School of Theology, where he gained a national reputation as director of Black Church Studies. He also has served as program officer in Human Rights and Social Justice at the Ford Foundation, and as an adviser to the foundation’s president on future funding for religion and public life initiatives. Franklin also was invited by American film producer Jeffrey Katzenberg to prepare an online study guide for the congregational use of The Prince of Egypt, a DreamWorks film (1999). Franklin also served as an advisor to the History Channel’s presentation titled, “The Bible” (2013). Lawton Jordan – Resident of the City of Atlanta: Following his appointment by Governor Nathan Deal, Lawton Jordan served for over three years, including one year as Chair, on the Georgia Government Transparency and Campaign Finance Commission, a quasi-judicial body with statewide jurisdiction over registration and disclosure compliance for elected officials and lobbyists. 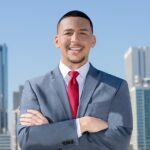 In addition, Jordan is a member of the State Bar of Georgia and the Atlanta Bar Association and is a past member of the executive committee of the Real Property Section of the State Bar. He is also a member of the Lawyers Club of Atlanta. From 1994-1996 Jordan served in the administration of President Bill Clinton, working in the White House Office of Intergovernmental Affairs. He was the legal counsel to the minority caucus in the Georgia State Senate in 2002 and 2003. In 2003 he was selected as a “40 under 40 Rising Star” by Georgia Trend Magazine. In 2007 and 2009, Lawton was selected by other lawyers for inclusion as a “Rising Star” in the Georgia Super Lawyers. Wilkinson served Presidents Ford and Reagan as a member of the White House Press Office. He accompanied Reagan on overseas trips to France, Honduras, Japan, China, England, and Belgium and attended the Economic Summits in France and England. He was a senior member of the Bush-Quayle Inaugural Committee and coordinated the hosting of the Washington, DC based diplomatic corps for the Inaugural. This appointment is pending until final approval by City Council on April 15, 2019.